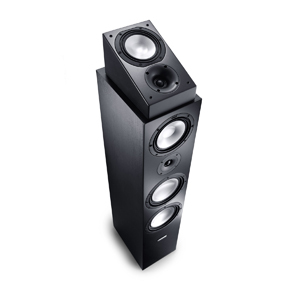 AR-400 is a 2-way compact speaker which is "Dolby Atmos Enabled". 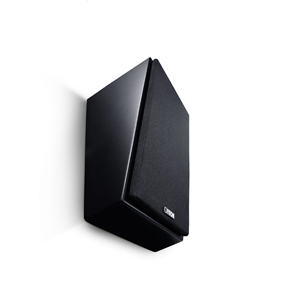 It can be placed on top of an existing Front- or Rear- Floorstanding or compact speaker of your Home Cinema system or as an OnWall speaker with the integrated wallmount. 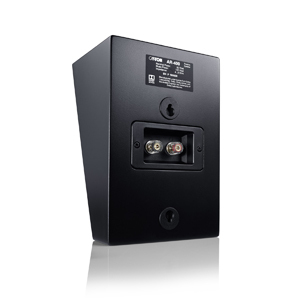 For perfect, long lasting sound the high quality connection unit is fitted with robust screw terminals. Perfectly concealed in the cabinet (Hidden Connection), this allows it to be installed close to the wall. The robust and acoustically neutral fabric covers hide the technology from view and fit neatly over the baffle. The black version of AR-400 has a matching black fabric grill, the white version a white fabric grill. 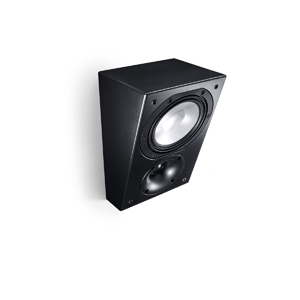 In addition to attachmentspeaker on top your floorstanding- or compact speaker, AR-400 is thanks an integrated wall mount perfect for hanging on the wall. 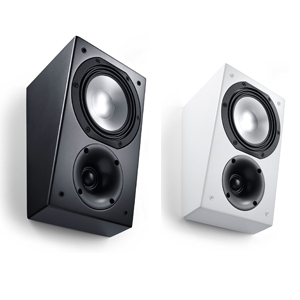 As an OnWall speaker AR-400 can be used as a Stereo- or effectspeaker in an existing system or only as a pair of stereo speakers. 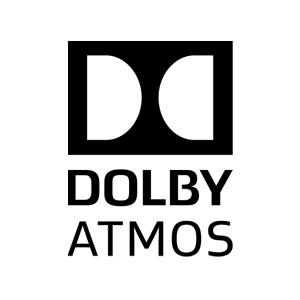 AR-400 is an "Dolby Atmos Enabled Speaker" and with that special construction it allows a vertical Sound dimension. The result is real 3D-Sound. Listen to airplanes flying over you, rustling leaves over your head or rain pelts on your shoulders. The cabinets of AR-400 are available in matt lacquer in black and white with removable fabric cover. 6.7" x 10.2" x 5.7"